Where is Kyrgyzstan located on the world map? 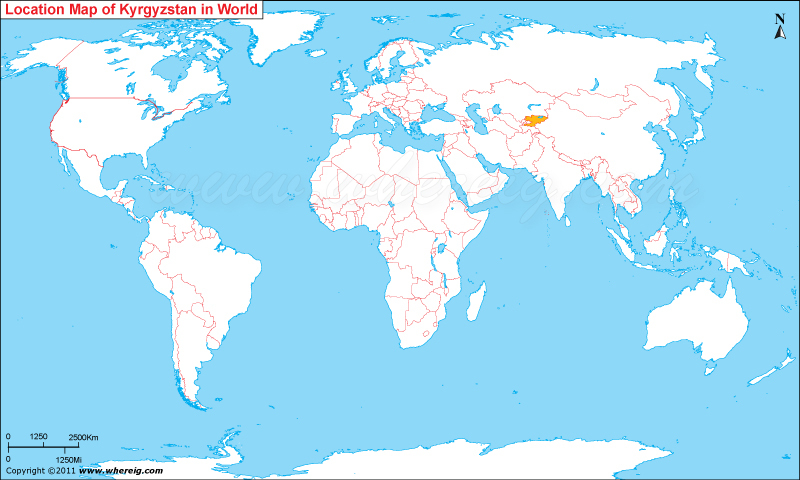 The given Kyrgyzstan location map shows that Kyrgyzstan is located in the central Asia. The Kyrgyzstan map also shows that it is a landlocked country and shares its international boundaries with china in the east, Kazakhstan in the north, Uzbekistan in the west, and Tajikistan in the south-west. Bishkek is the capital and largest city of the country. Interestingly, "Kyrgyz" is probably derived from the Turkic word for "forty", pertaining to the forty clans of Manas, a legendary hero who united forty regional clans against the Uyghers. Besides, it is also assumption that Kyrgyz has also meaning i.e. "unconquerable" or "undefeatable". The government type of Kyrgyzstan is a democratic republic with unicameral parliament where is - the executive branch includes a president and prime minister. The country has largely two types of climate i.e. subtropical characterized with hot summer and continental type characterized by very cold winter.